Christopher Bates arrived in Washington in 1976. "DC CAREConsortium was the best job I ever had. It was the most exciting period of my entire life. I learned more in that period than ... I had learned my whole life before that. And then, by the same token, everything I had learned before going there got brought to bear. I learned. Every day was this incredible experience and I think I never worked harder." "We need to be more proactive and more engaged and we can’t fault other people for what we weren’t getting because we weren’t asking ... I think sometimes we in our community forget we’re more than HIV ... We have a whole roster of issues. We’re people. We’re people first ... There are multiple points of need and intervention." Christopher Bates has had a multifaceted career in government programs and in outreach to the gay community. He is known as a leader in the Associates, one of the major black gay social clubs, as a community builder responding to HIV/AIDS and as an official incorporating lesbian, gay, bisexual, and transgendered (LGBT) views into the national AIDS policy dialogue. Bates was instrumental in establishing the DC CARE Consortium to raise and administer funds for HIV/AIDS organizations. As chair of Black and White Men Together (BWMT) in the 1980s, he coordinated its assault on carding and other discriminatory practices and helped to create an innovative Discrimination Response System. Bates’ career began in the Carter White House in 1976, moving to the Department of Agriculture and ten years in DC government at the Department of Transportation and its successor the Department of Public Works. 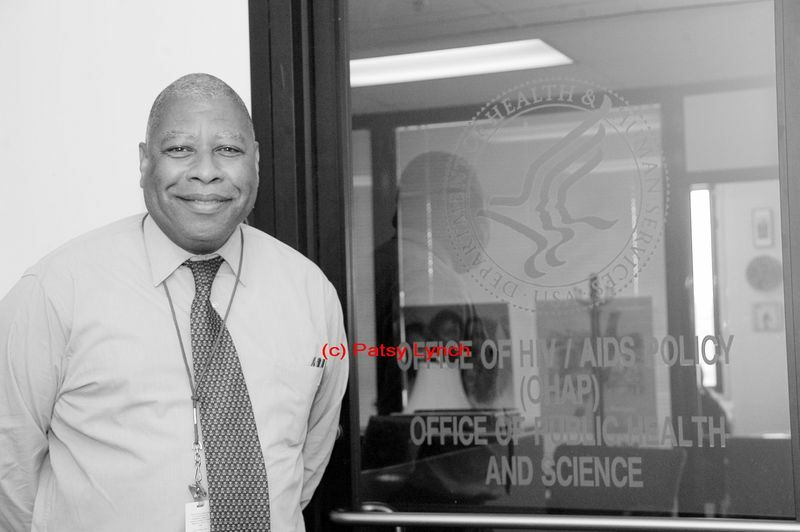 In 1997, he joined US Department of Health and Human Services’ Office of HIV/AIDS Policy (OHAP), which he has led for five years as Acting Director. At OHAP he keeps the LGBT community in the conversation on AIDS policy. Cade Ware and Phil Pannell were his mentors in being ‘out’ and politically active. His political involvement began with BWMT and continued with Gay Activists Alliance’s Education Fund. Through his leadership of the Anti-Violence Task Force in the 80s, he learned to provide gay sensitivity training to the Metropolitan Police Department. Bates is proudest of his role in DC CARE Consortium between 1991 and 1997. In partnership with Alexander Robinson, Hank Carde, Pat Hawkins and others, Bates organized the consortium, drafted the first grant proposals and, as he says, took DC CARE “from nothing to something”, creating the best AIDS drug assistance program in the country. The consortium quickly became the city’s umbrella organization for channeling Ryan White Act funds to local HIV/AIDS support organizations.